Cognex Corporation (NASDAQ: CGNX), the leader in machine vision and industrial barcode reading, today announced the launch of the only end-to-end family of mobile scanning solutions in the market. The latest additions to the product line, designed to solve logistics and manufacturing applications, include the MX-1502 Series vision-enabled mobile terminal, the MX-100 Series mobile barcode reader, and the Cognex Mobile Barcode Software Development Kit (SDK). Equipped with smart barcode reading algorithms and optics, the MX-1502 quickly adjusts between standard-, long-, and extended-range scanning to reliably decode 1-D, 2-D, and direct part mark (DPM) codes from as near as 15 centimeters to as far away as 10 meters. Like the MX-1000, the MX-1502 mobile terminal offers a modular, rugged design that supports iOS® and Android® devices and can be used in even the most challenging warehouse and factory floor environments. “MX-100 is a compelling example of the growing trend of mobile device solutions for enterprise-grade applications,” said Bryan Boatner. “Cognex lighting and optics, combined with the Cognex Mobile Barcode SDK, allows customers to take full advantage of their smartphone investments. The Cognex Mobile Barcode SDK is a comprehensive software tool for all facets of mobile barcode scanning. It enables customers to tailor and maintain a single application for all mobile devices across their entire organization. 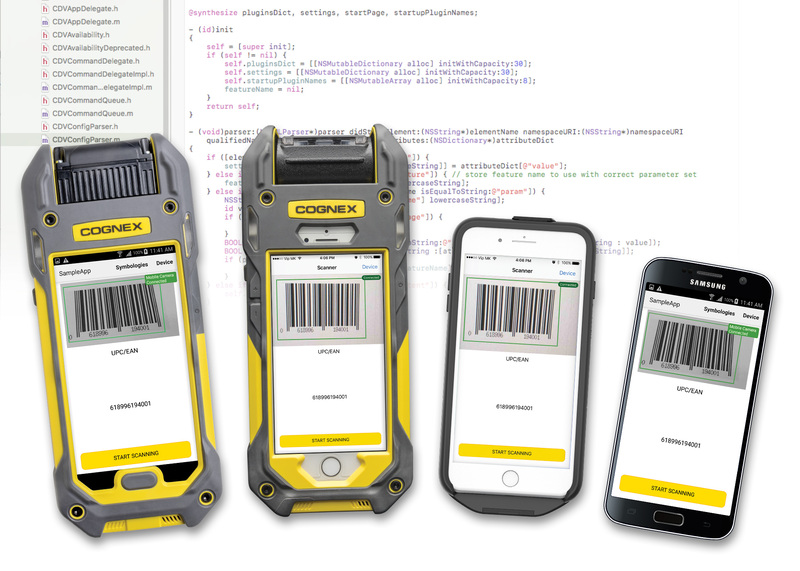 An SDK license is included with all Cognex mobile terminals and mobile barcode readers, and is available separately for most iOS and Android devices, regardless of platform or development framework. The MX-1502, MX-100, and Cognex Mobile Barcode SDK are available now. For more information on how these products can help improve throughput and reduce costs, visit www.cognex.com/mobile or call 1-(855) 4-COGNEX.